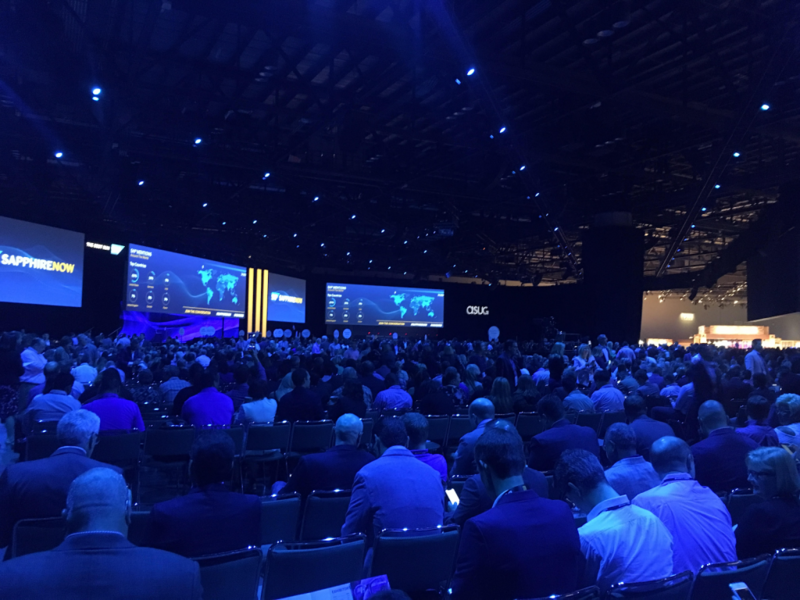 SAP unveiled SAP C/4HANA as well as the new SAP Customer Experience (SAP CX), incorporating several SAP Hybris business units and acquired technology providers. With this, SAP is reimagining CRM and taking a huge step towards being a leader in the CRM software market. What is SAP C/4 HANA? SAP C/4 HANA is a fourth generation, in-memory CX Suite built for emerging business models. It combines customer data, micro-services and machine learning to power real-time customer engagements. In other words, the fourth generation CRM is designed to place the customer at the center of every interaction. SAP C/4 HANA includes Commerce, Marketing, Sales and Service cloud solutions from SAP Hybris, sales and service offerings from CallidusCloud and Core Systems, and customer identity, consent management, profile offerings from Gigya. 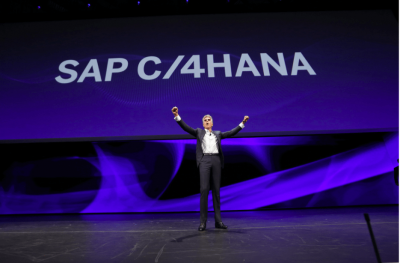 In short, “C” stands for Customer, “4” stands for fourth-generation CRM, and the suite runs on HANA: hence the brand name. By emphasizing the customer centricity of the solution, “Me2B” instead of traditional B2C or B2B channels is now the core of all digital business. 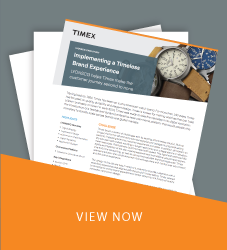 A customer’s relationship with the brand is not about just transactions anymore but ensuring that the relationship extends beyond the sales to a life-long relationship. Out of the box integration with S/4HANA. Extensible via SAP Cloud Platform. One of the biggest value drivers of the SAP C/4HANA suite is the power of shared data. Master data can now align within the SAP C/4HANA Suite – SAP Hybris, SAP Callidus Cloud and SAP Gigya. All of this sitting on top of the SAP Cloud Platform can further accelerate innovation and optimize digital experiences. Most importantly, the solution also brings the 360-degree view of the customer to reality. The ability to connect front-end and back-end systems is key to delivering a great customer experience. Customer can self provision their contracted environment the first day of receiving their credentials. World’s First Intelligent Marketing Cloud. World’s Most Complete Sales Solution. SAP Commerce Cloud is a truly comprehensive platform. But, even so, it is agile and adaptable, with new and improved functionality rolling out multiple times per year. LEt’s take a look at what’s on the schedule for the rest of 2018. Environment Management amongst many others. Moving on to another topic of interest, SAP announced Intelligent Systems in parallel to their customer journey focus. The idea is to bring the “Intelligent Enterprise” to the forefront and showcase how the digital era is moving towards the intelligence era for businesses in every industry. For SAP, Intelligent Enterprise is the integration of all their capabilities and components revolving around the SAP Cloud Platform. Intelligent enterprises effectively use their data assets to achieve their desired outcomes faster – and with less risk (per SAP). Another important shift in the offering is the emphasis on SAP Leonardo as a platform that includes AI, Machine Learning, IOT etc. all in one integrated into the SAP Cloud Platform. This combines various next-gen technologies to help harness, transform, and utilize big data sets. 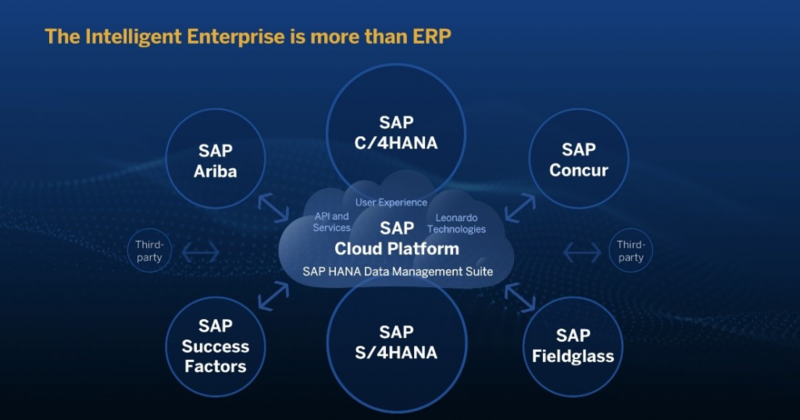 SAP also announced the SAP HANA Data Management Suite, which will enable enterprises to build a solid data foundation based on trusted, connected data. SAP announced that their cloud platform will now integrate with three of the biggest public cloud: Google Cloud Platform, Microsoft Azure and Amazon Web Services (AWS). For businesses on the SAP Commerce solution version 6.7 and beyond, the Microsoft Azure Cloud is also an option to host the application. SAP Datahub can be used by enterprise applications to allow customers to accelerate and expand the flow of diverse data across the organization. This tool can be used to manage the entire data landscape with relevant governance and security in place for today’s regulations such as GDPR. 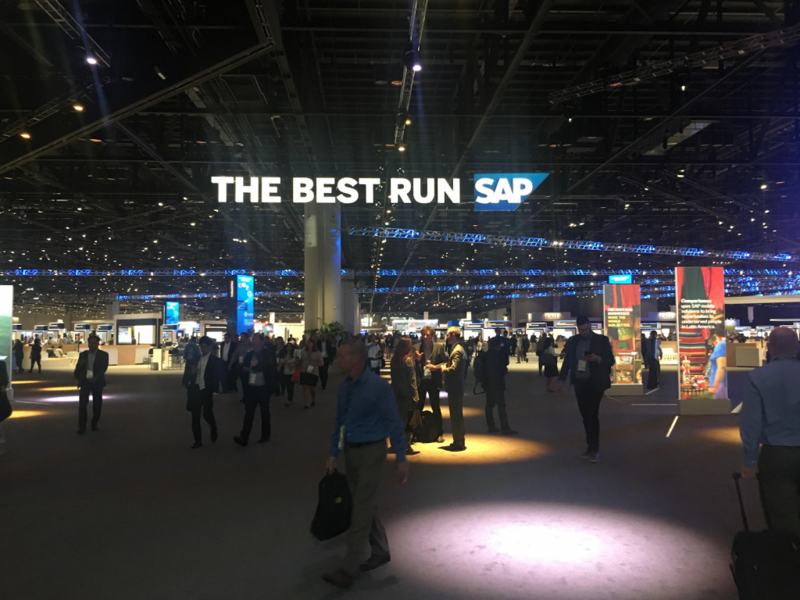 SAP’s ideals for the future is around “Intelligence” and “THE BEST RUN”. Based on all the product highlights, key announcements, keynotes from various individuals seem to be heading in the right direction of offering all of the front end products into a single package and focussing on innovative technologies around machine learning and Internet of Things (IOT) and optimizing everything onto the Cloud Platform.